On-premises mail users (at least in Exchange 2010) had access to send mail as their organizational address through the on-premises SMTP server. 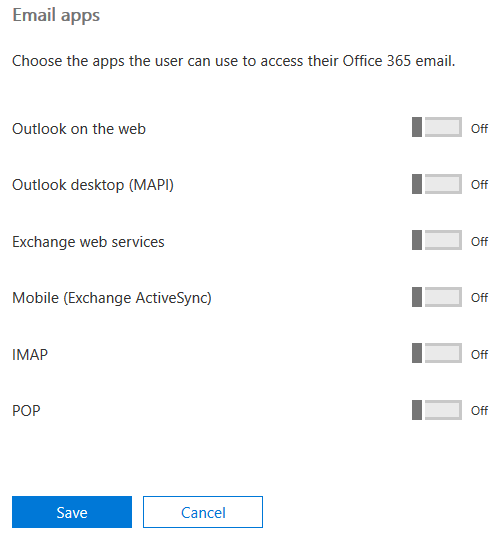 However, mail users in Exchange Online cannot send mail as their organizational address using smtp.office365.com. The test user was no longer able to log in to Outlook on the Web (also known as OWA). SMTP still worked. Email forwarding still worked (although the user would not be able to set the forwarding address themselves). Creating a user mailbox requires a user license, whereas mail users do not require a license. If you have a lot of on-premises mail users that now need full mailboxes, this could be problematic. In Exchange Online, a UserMailbox with all email apps disabled is equivalent to an on-premises Exchange MailUser, except that the former requires a license.